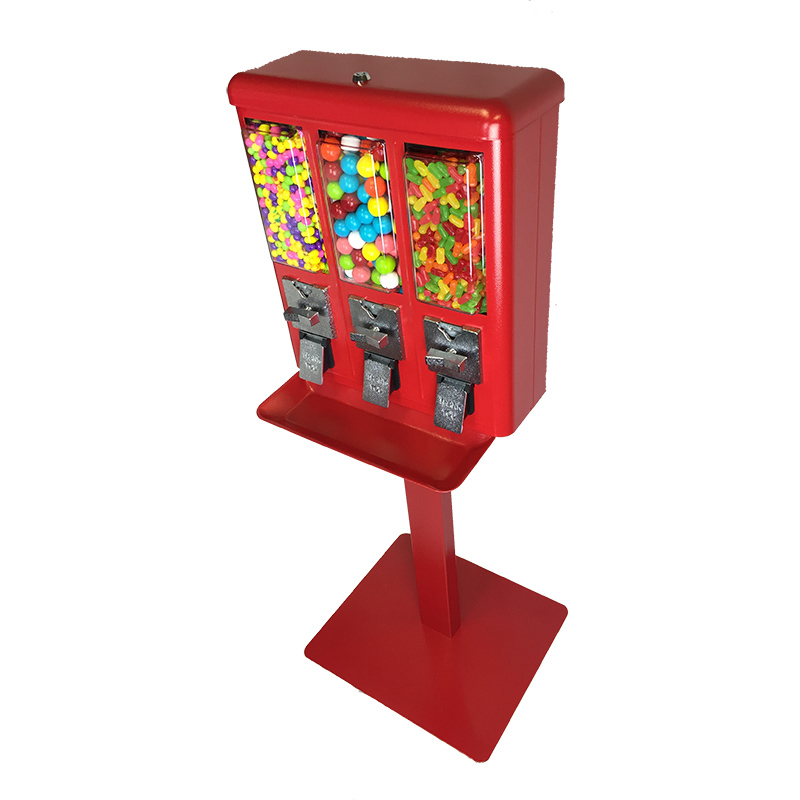 Our 3 compartment bulk vending machine is one of the best values in candy and gumball vending. Top-quality metal coin mechanisms, durable all-metal body and a limited warranty sets it apart from similar looking triple style vendors. The compact design lets you offer three different product selections in one small space and is convenient to service. 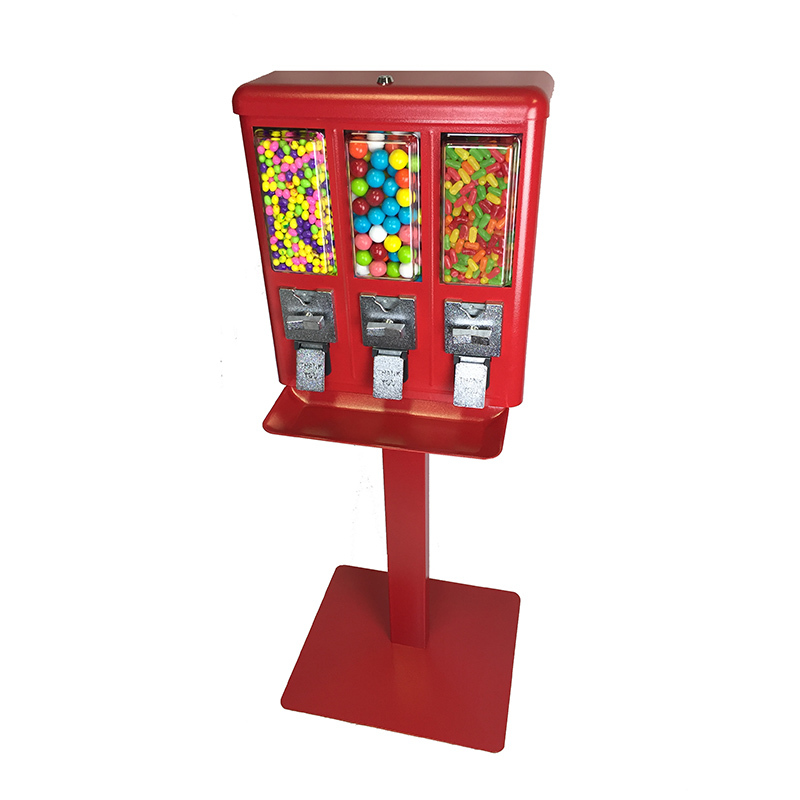 Our Triple Shop Standard is only available in red with a black stand and comes with a set configuration to vend candy from both outside compartments and 1-inch gumballs from the center compartment. You also have the option to purchase additional candy/gumball wheels. Vends as pictured, with 2 candy compartments holding approx. 12 lbs each and 1 gumball compartment holding approx. 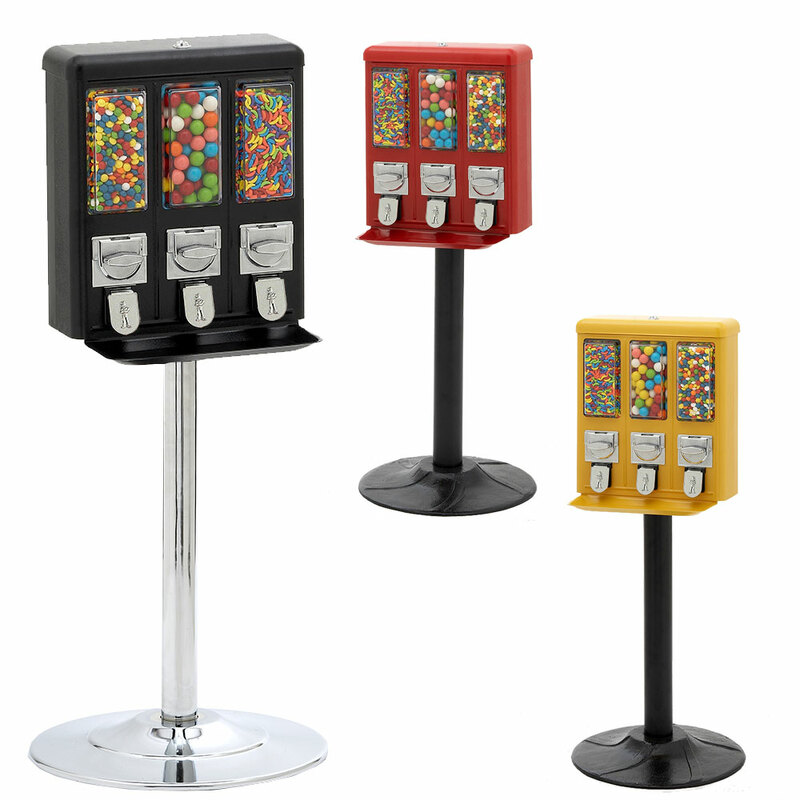 330 1" Gumballs, Bouncy Balls or Toy Capsules. Additional candy or gumball wheels available installed or a discounted price if you want to install the extra wheel yourself. 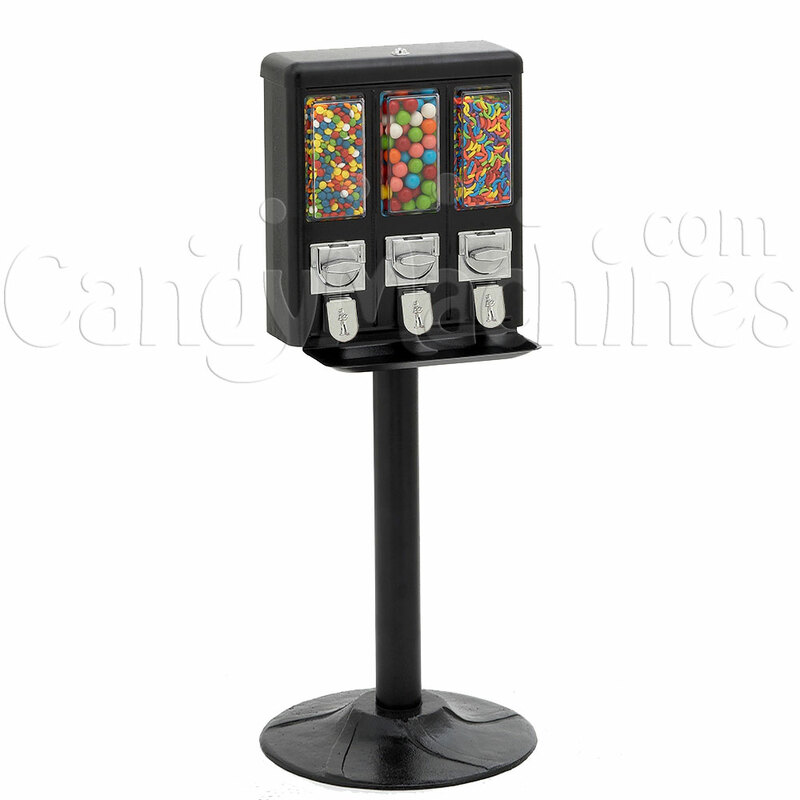 I am very pleased with the triple gumball all metal candy machine. 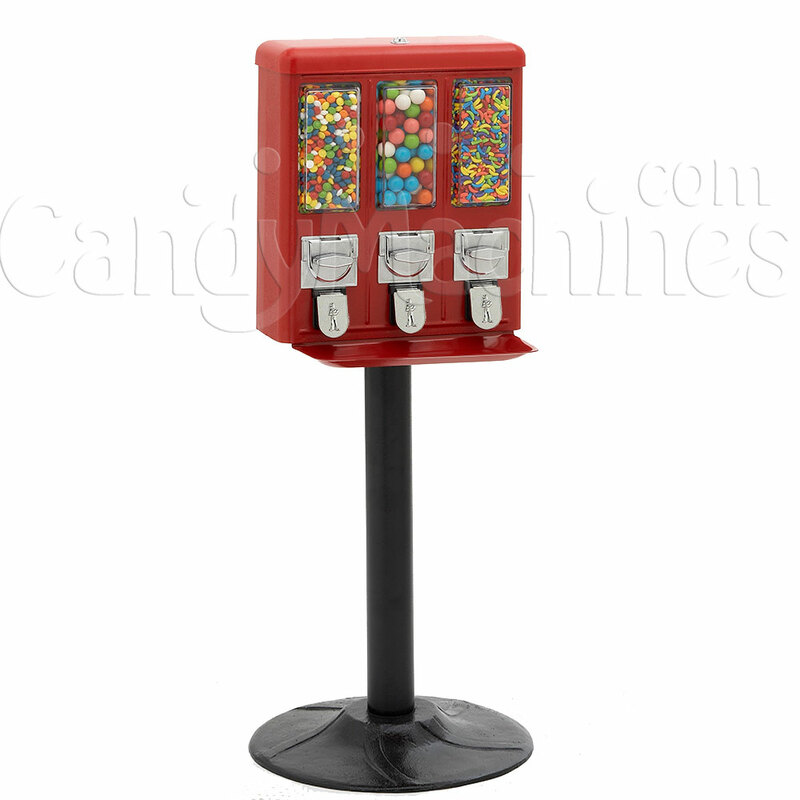 It is very easy to adjust the amout of candy that comes out of the machine, but you have to watch the little plastic pullout flap inside the machine. 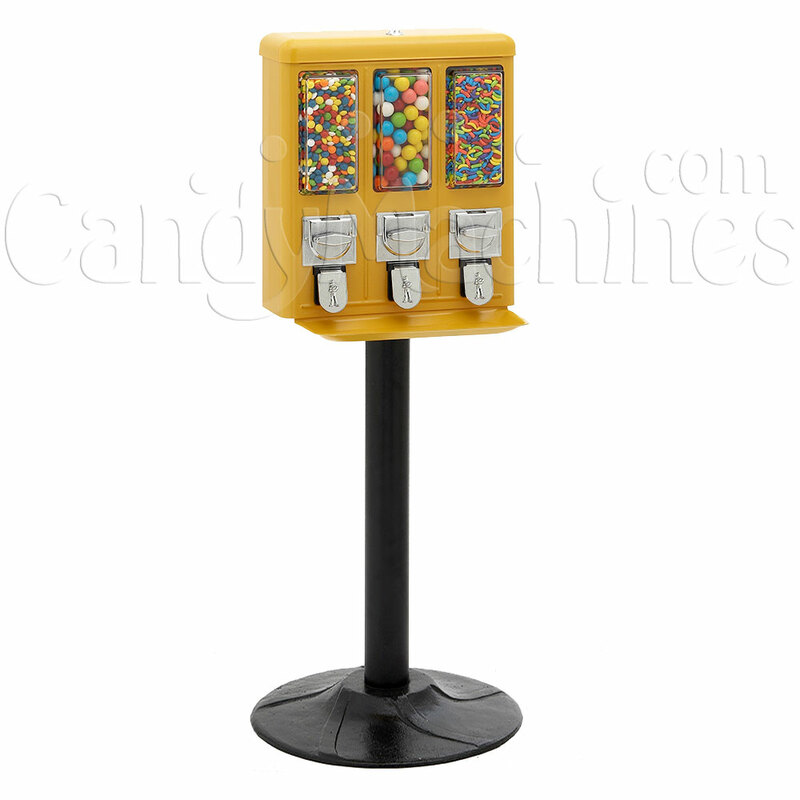 You have to make sure it is pushed in and latched securely, if not the candy will come out the back where the money collectors are. Other than that this is a great machine. We ordered our machine and it came pretty quickly. it was pretty easy to put together. Great product, loving it.